My favourite sewing/quilting project I've worked on, *ever* has to be my Farmer's Wife Sampler Quilt. I'm not exactly sure why I'm using past tense, because I've yet to finish - or even complete all 111 blocks! But working on each little 6" block has been the most fun, really. 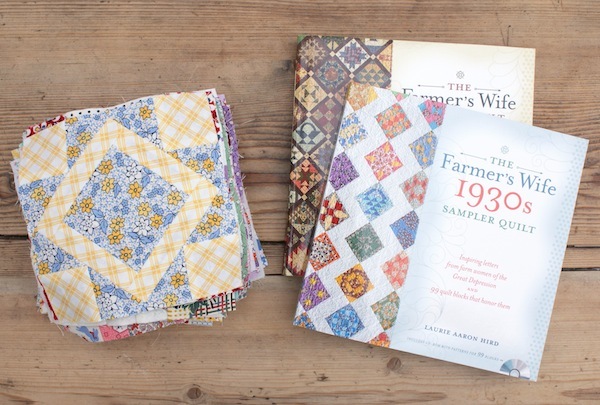 So you could imagine my excitement a few months ago while browsing Amazon for quilt books, to discover Laurie Aaron Hird was releasing a second book entitled; The Farmer's Wife 1930s Sampler Quilt! 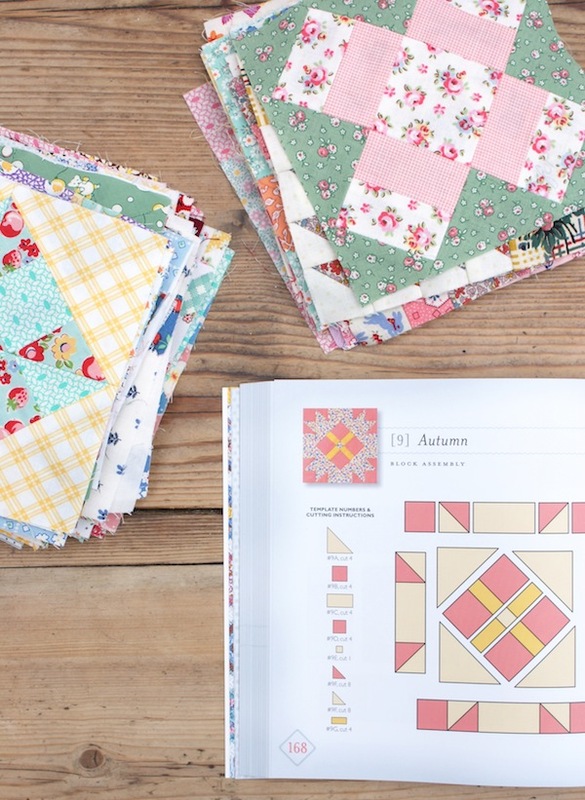 Regular reader's might remember me working on my FWQAL blocks a while back, and sticking to my theme of using 1930s reproduction fabrics only, so it's funny to see this new book released with that style too. I absolutely love the blocks in the new book! I've only had a flick through as I didn't want to get sucked in just yet, but they look beautiful, perhaps trickier than the first book? One of my favourite blocks has to be #53 Lucy, those fabrics and colour's! Just perfect. A whole quilt of this? Yes please. I will be sticking to the original Farmer's Wife Sampler Quilt for the time being as I'm keen to get that finished in between working on other projects. However I will be following Kerry's quilt-a-long that starts next month, she's planned a year long QAL with lots of tips and techniques and blogger's joining in along the way; including myself for one block next February. 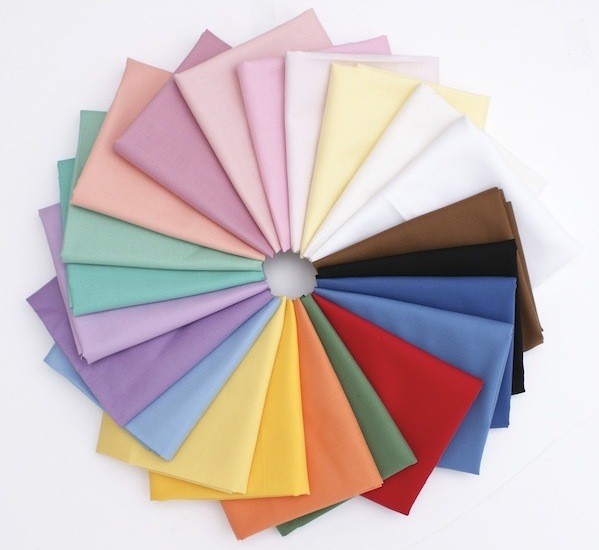 I'll be doing #47 Joy, which you can see below… hmm will I be able to hold off on making it for that long? We'll see. 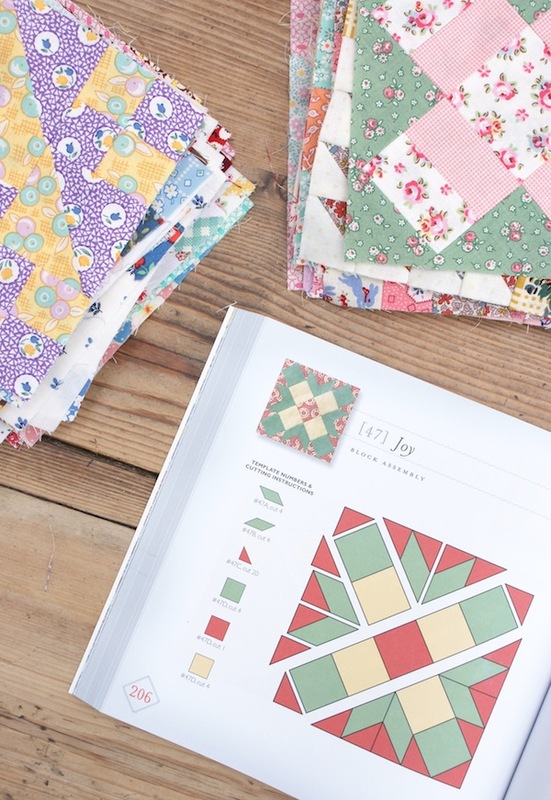 Kerry will be making her blocks using foundation paper piecing. Templates for this technique is included with the book, this is a new addition from the first one - which only included rotary cutting templates, to then use for machine or hand piecing (machine piecing is the method of choice I use for this particular project). I've also heard of people doing it with English paper piecing, which I would be interested in seeing! Perhaps I'll give myself a deadline to complete all my original FWQ blocks by the time I have my guest post on the new quilt? So by the 29th February I have to make the remaining 47 blocks I need, yikes! I'd better get started, wish me luck! Have a great weekend friends! When I saw this version of the Farmer's Wife book recently on Amazon, it made me think of you! I'm looking forward to seeing all your progress with these blocks. Love your blog and the new Farmers Wife book too - May need to consider although, I have many projects going on. Thanks for sharing your many talents/inspirations! So fun to see your blocks, they look fantastic! I only made 25 blocks for the Farmer’s Wife #1 quilt, but intend to make more!